Let’s not judge but leave this case for God to judge. If we continue commenting, we will end up in the trap of sin. Satan might use this case for both christians and non christians to sin. Let’s pray that the truth be exposed. He is a thief who does not deserve any mercy. Lock him up. We do not need such men in our society. Cut his bols and feed them to the dogs. Iwe do not involve God mufyabupuba, youare the same chaps who indirectly put the name of God in ridicule! They say a criminal will always return to the scene of the crime. Those who crook you no matter what and how they lie to cover their tracks often will one day be dealt with either by the law or equally by other unscrupulous people. You are so naive. Can you pay me man who is the primary subject of this article? I am not an expert on the price of gold, but “500 grams of Gold worth 16 Million US dollars” seems way too high. Maybe this gold was laced with “anointed water”? It is very sad that vultures always appear when someone is down. I do not support Bushiri, but frankly, someone should give him an award for being such a good business man. There are those that will say he is making money off the back of poor people. The truth is every single company exploits the poor. @IndigoTyrol. It’s 500 Kilograms, 32000 USD per Kilo = 16 000 000 USD. I always wonder why ka chatile is called a man of God and yet he is just a conman. Utu bantu twamusango uyu tu fwile uku to poona. Twaibila sana abantu . @it’s Political. Probably, since it’s from DRC. 500kg of gold doesn’t look like 500kg of maize. Good businessman when he has defrauded the sick a vulnerable? This man was victimized by Bushiri, locked up, his passport to SA blacklisted because this man is alleged to have oiled people and now that truth is emerging, you want him to continue siting? This is his best opportunity to be heard and Hawks will likely engage him as witness. He claims to have documentation of the transaction, so let him go and prove his case. Man of God has hired a lawyer to defend him? Why not call up the Lord to send his angels to defend him? He is just a shameless conman. Which Angels can defend this thief. At the pick of ZCCM operations I worked at the Ndola Copper Refinery. This is where ZCCM’s sole Gold production plant was located. Production from that plant was 12 Kg of Gold and about 2000kg silver. Where did these guys get 500 kg of gold as some one has correctly asserted the figures. Do I know the definition of criminal? Its now blatantly clear that we don’t want to read as a people. Cant you scoll up and see its “500 grams of Gold”. Where are you getting 500kgs? Me I can just die like this….!!! Ken, I agree with you here. We can only go by what is printed here, and it clearly says 500 grams of gold. This BUSHILU is just a common kawalala mascarading as a man of God. Which genuine Man of God can have the milliions of dollars that this little CRIMINAL has amassed? No wonder we denied him entry into Zambia because he is a thief. Hurry Thats wisdom leave everything to God. 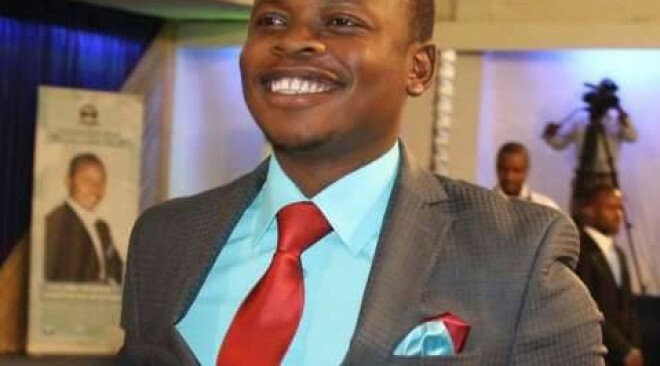 Bushiri is not my cup of tea, the book of life says in Matthew 7:1-2 “Do not judge, or you too will be judged. 2For in the same way you judge others, you will be judged, and with the measure you use, it will be measured to you. Very true Atambwali let God himself judge him because he is the only one who sees what goes around in secret places. The government of SA work to ensure that this criminal forfeits everything and deport him.. He supplied 500 grams of gold for $16 million the man is definitely a fraudster. And an ***** for delivering the gold without receiving payment first. That will teach him to deal with false prophets. African Worshipers need to go back to your traditional churches. With due respect to short people, they seem to be a problem. Tu wambwena pi are always a problem in any society. Hitler, Mussolini, Chiluba Fredrick, chairman Mao, Kim il Jung and others. Tu shortie are always aggressive to compensate for their lack of physical strength, they are loud mouthed so that they are heard. Now look at this vertically challenged chap Bushiri. Crooked! For this man to be jailed indeed there was something sinister that he was doing. A case of the kettle calling the pot black . Fake Story……if it was 500grams it can’t cost $16m then 500kg that’s impossible to have,the guy didn’t do his homework well before getting to social media..that’s a fail dude! This is another self confessing thief. How can you sell 500g of gold at $16M? You are a conman. If its 500kg then it must be miracle gold and it belongs to Bushiri. I don’t expect an individual to have 500kg of gold cause even big gold mines that can be a milestone. As if someone started digging gold from childhood. Naiwe wine kuti twakulonga mukalyati just like your business partner. USD 42.26 Per Gram X 500 Grams = USD 21,130. Something wrong with the figures declared. An ounce of gold is about 28g and this one ounce sales at approximately $1300. In 500g, there are only 18 ounces at the most, which can only give you $24000 at the most. Where has $16m come from? Surely how can he SELL 500g of GOLD at that cost? No wonder BUSHIRI sent him in jail.The cost was too high. In normal business nobody can buy 500g of Gold at $16m. South Africans have no brain, people to complain are Zambians. That Gold is from Mkushi. Tonnes of gold is being transported off the country every day. We have allowed fake smelters operating in this country by foreigners.The Revenue being collected from that church is high. South Africans appreciate the hard work this guy has done, tourist industry is making money every Monday from international visitors. Let God close chapter. If it’s true then what were you waiting for I think ure lying wat if this scenario never occurred zambians naimwe mule ikalafye.